The Adventure Diver course is composed on 3 adventure dives which you can complete in just 1 day. This course allows you to complete 3 adventure dives which are part of the Advanced Open Water Course. The Adventure Diver Course is perfect if you wish to continue your diving education but you have limited time available. 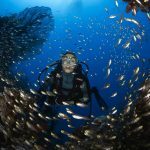 You will be able to choose 3 different Adventure dives between many available such us: drift dives, boat dives, deep dives up to 30 metres, night dives and many more. 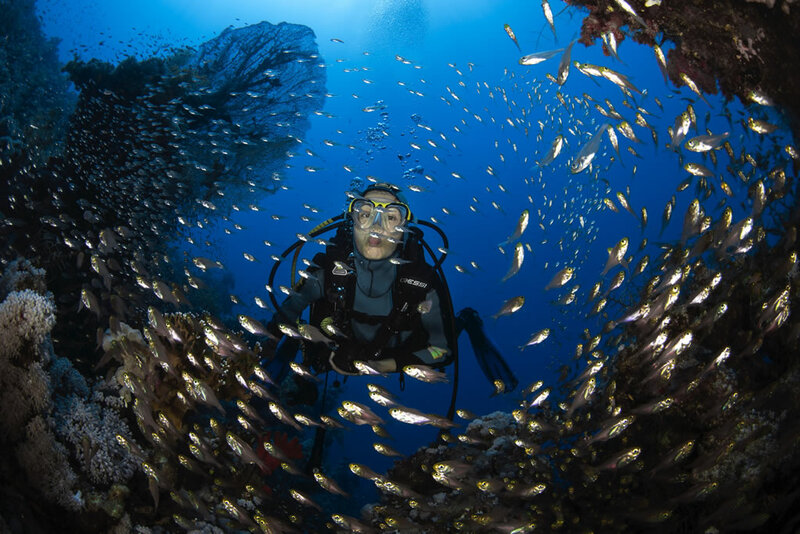 All Adventure dives are available every day. The Adventure Diver Course and the related 3 Adventure Dives completed during the course are considered as a valid credit toward the Advenced Open Water diver course. Children: 10-14 years old are certified as ‘Junior Adenture diver’ with some restriction in certain adventure dives and depth. Starting from 12 years old all adventure dives are available always respecting the Junior depth limit. 15 years old is required for Sidemount adventure dive. Our Adventure Diver Course includes full diving equipment. All material required to attend the course is available at the dive centre. Adventure Diver course manual and certification processing fee are not included.